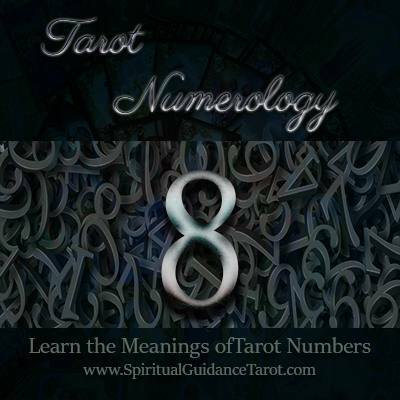 Eight in Tarot is the number of manifesting. Have you ever seen someone who just seems to have uncanny amounts of good luck? Or it seems they easily achieve their goals and make things look easy? That’s an 8 person. Eight people are extremely driven, motivated to succeed and are in constant competition with themselves (and sometimes others). A well-balanced eight is very focused, dedicated and they can work tirelessly towards their goals. Often 8 people are entrepreneurial spirits and are very motivated in career and money areas. Eight in proper balance however is unstoppable. These are the people who are successful because they accept risk, take chances and are not dissuaded by disappointments. They are more than willing to “try try again” until they have a successful conclusion. Eight people also seem to have an uncanny ability to know and understand exactly who they are and what they want – they don’t struggle much with self-doubt or a lot of back and forth, so that gives them the laser focus along with determination to succeed. Eights in Tarot mean a need to assert yourself, use your energy and put it forth in positive, empowered directions. Strengths of the Eight: Drive, determination, persistence and a great vision. They are competitive and motivated to succeed. Challenges of the Eight: Arrogance, the need to “win” at all costs can be – well, costly. Perfectionism that becomes consuming – they are never satisfied and need to do more, achieve more etc.